This black mini flask is an ideal gift designed especially for the best man. A flask wedding favour is a classic gift option for your best man. Mini flask is stainless steel and measures 2.125 inches tall. 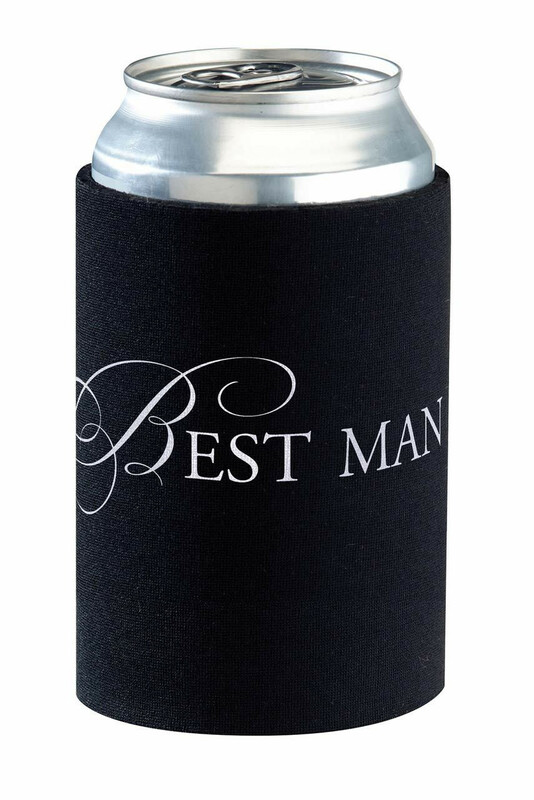 This groomsman bottle cozy is the perfect wedding party favour. It works well for bachelor parties or the wedding reception. It measures 7.5" tall. Amore by Juliana Whisky Glass and Coaster - Best Man 21. 5cm x 11cm x 9cm. This pair of 1 inches black cufflinks with silver plating is a great personal touch for the "Best Man. " Also available in Father of the Bride, Father of the Groom, Groomsman, Groom and Usher. This pair of 1 inches black cufflinks with silver plating is a great personal touch for the "Groomsman. " Also available in Best Man, Father of the Bride, Father of the Groom, Groom and Usher. Amore MDF Multi Aperture Photo Frame Bridesmaids, Best Man. .